2015 ANNUAL CATALOG OPEN HOUSE!!! Attendees of my Open House will enjoy special gifts and discounts on several featured products, with a minimum order of $35 in regularly priced merchandise. You can also get these great deals when you place an order in my ONLINE STORE no later than 11:59pm MT on July 12th 2015, and apply the above Hostess Code during checkout. The only caveat is that any orders placed using a debit or credit card (which includes online orders) must be paid in full, then receive the discount as a reimbursement via a check in the mail. 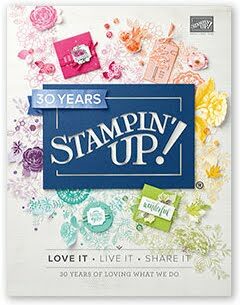 With your minimum order of $35 in regularly priced merchandise, you will receive a FREE package of 20 Whisper White Notecards & Envelopes ($6.00 value)!!! If you are not present or local, your gift will be mailed to you within 2 weeks, at the same time rebate checks are issued. WANT A CATALOG, BUT DON'T LIVE IN OR NEAR COLORADO SPRINGS? LIVE IN COLORADO SPRINGS BUT CAN'T ATTEND THE OPEN HOUSE? *Personal Gifts and Discounts are offered solely by, and redeemable only through, the personal business of Kimberley Morris, Independent Demonstrator.